Muling bumalik sa 122 lbs ang nasabing boxingerong si Servania. After his remarkable performance against Oscar Valdez last month, Servania proved that he has something and has a caliber of being a world-class fighter. From featherweight, Servania is planning back to super bantamweight division where he won some multiple regional belts. Servania wants Magdaleno who is currently scheduled to defend his WBO World Super Bantamweight Title against tough Mexican Cesar Juarez on November 11th. 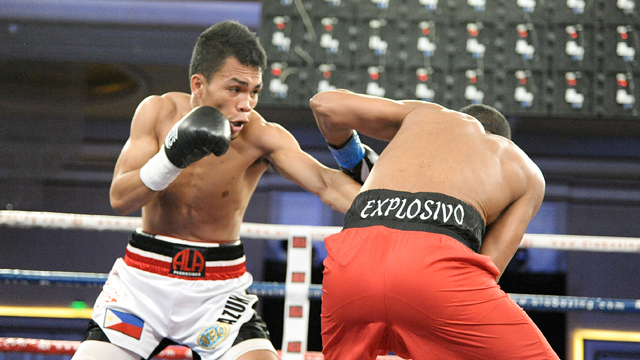 The 26-year-old Filipino boxer also wants to face the IBF World Super Bantamweight champion Ryosuke Iwasa of Japan. There's a lot of big fights await for Servania after his quality performance against Valdez and now Servania looking forward to a world title chance again.